Last Saturday was a very busy time in the cooking school here. For some weeks this day had been planned. Friends had ducks they had frozen to bring along, all that was needed was recipes. 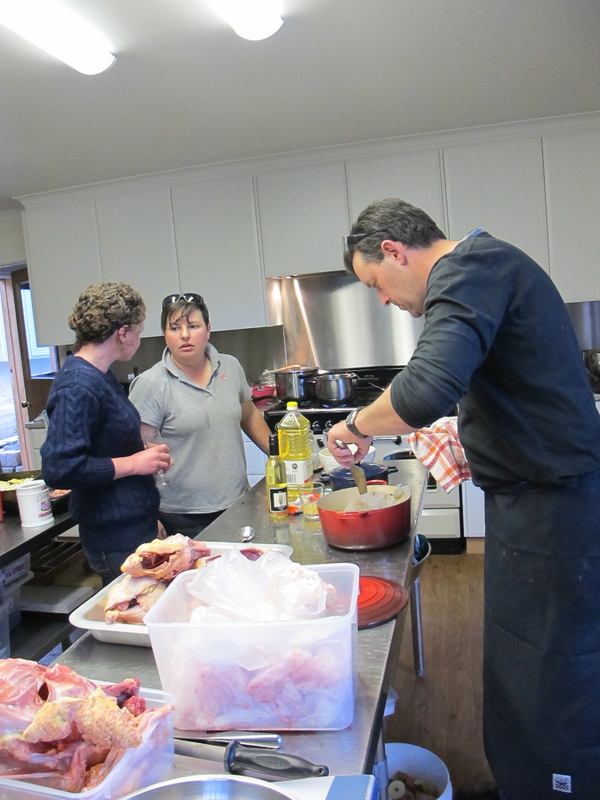 I’ve not cooked with duck very much I am the first to admit, so son Andrew was at the helm, and Stephanie led the ravioli and ice cream making team. 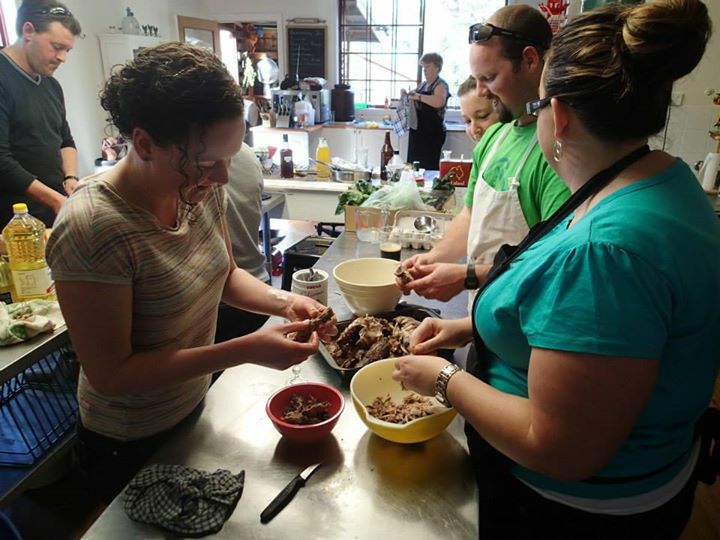 There were 15 people here in total, all focussed on getting the best from the ingredients at hand. The day of duck cooking begins …. Out of the apparent madness and mayhem came some stunning dishes, both of the duck and vegetable kind. Duck sausages, confit duck legs, roasted, ravioli and more. 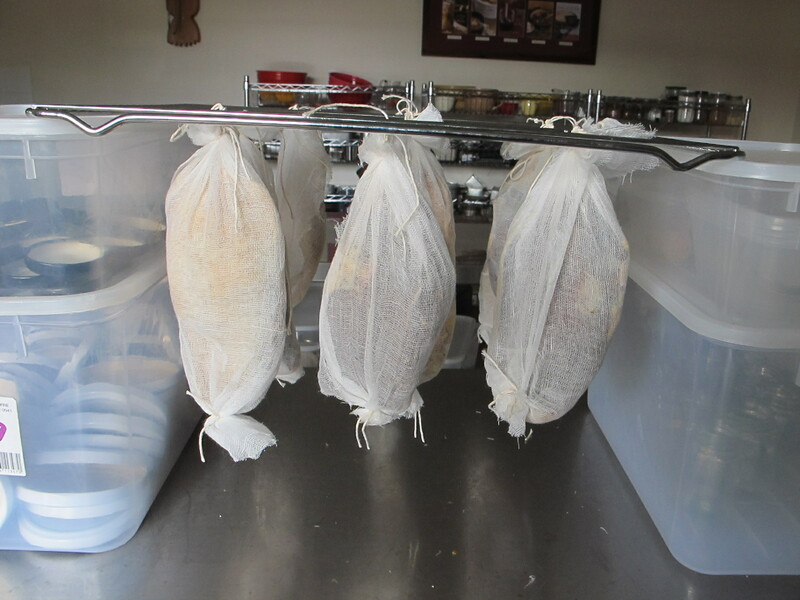 Even duck prosciutto is under way as well and will be cured and ready in a few weeks’ time. There were massive side dishes of cauliflower cheese, gratin style, swede casserole with bacon and herbs, parsnip puree (with herbs and wine), stuffed tomatoes, even Brussels Sprouts cooked with home cured bacon, very acceptable. There were breads made with Redlands hop yeast and foccaccia based on a malted barley dough, and dips to go with them. And sweet nibbles of course. But why Duck Duck Goose Day you might ask? 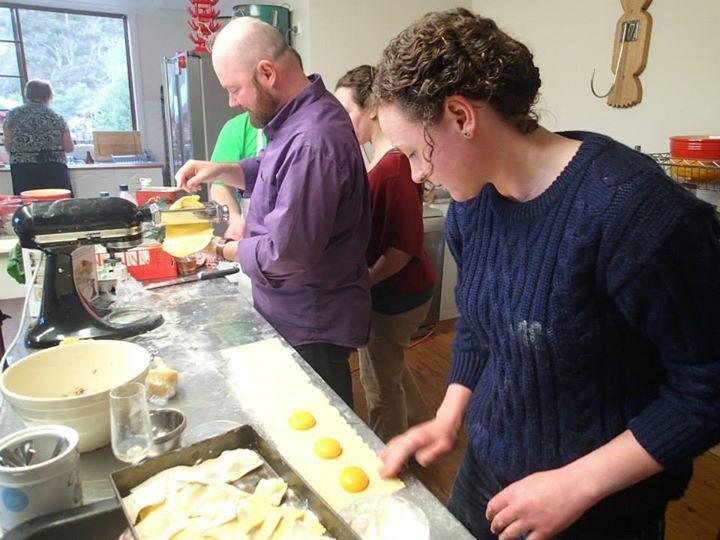 Well, we had duck and goose eggs galore, so Stephanie made duck and goose egg yolk ravioli, as well as goose egg (custard) ice cream. It was also an opportunity for everyone to sample Robert’s new gluten free beer. All in all it was certainly a great day with fantastic friends.